one-piece application prevents anything from seeping through or around it, and it can’t be stolen! diesel fuel, paints, salt water and much more!  Permanent bonding seal protects against water, rust and corrosion.  Adds to truck resale value. 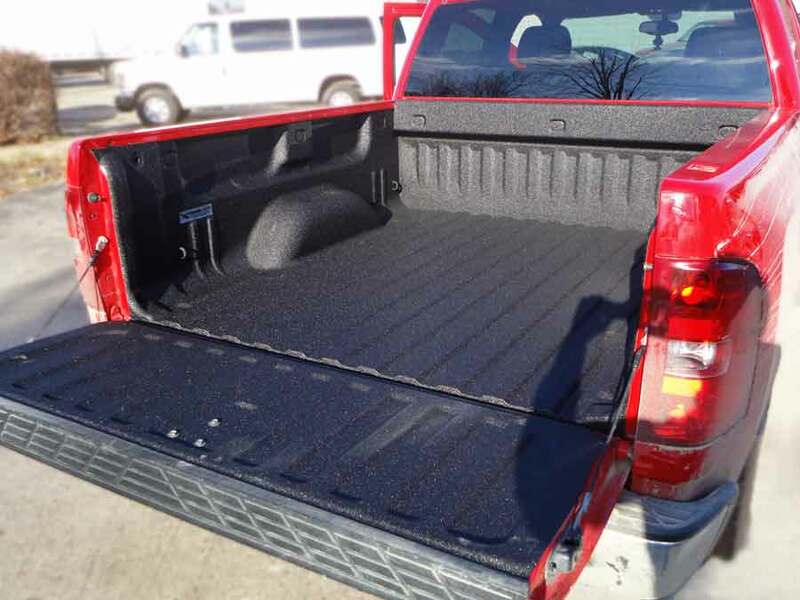  Semi skid resistant surface keeps cargo secure and allows for easy loading and unloading.  Great insulator and soundproofing qualities.  Environmentally safe: 100% solids with no V.O.Cs or C.F.Cs. The bed, sides, tailgate and all contours are sprayed with a polyurea elastomer made up of two chemical components that when mixed together form a union free membrane capable of withstanding shocks and scratches.